The Rangers are happy to work with educators to tailor sessions to meet your learning needs. If the sessions below do not meet your requirements, please get in touch. 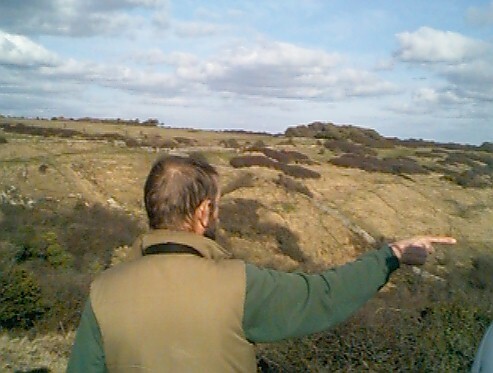 ½ hour introduction to Durlston and the work of the Rangers. The session can be tailored to suit your area of study. Topics include landscape, habitats, tourism, environmental issues, and provides an insight into the local marine environment. 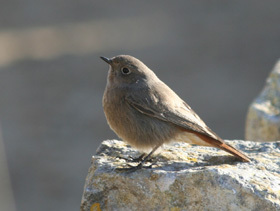 A session in the Learning Centre, followed by a walk along the coast path to understand the birds and their behaviour. Animated talk using live Guillemot pictures relayed from the cliff-edge camera. Topics include adaptations of seabirds, comparison, breeding cycle, identification, predation, human influences. Rock formation, geological timescale, fossil evidence and changes in the environment. Resources and human impact on the landscape. A lively session in the Learning Centre, and walk along the coast path to explore the marine environment. Human impact on the marine environment. Join a Ranger to explore the park, focusing on seasonal interests. Starts at Learning Centre. Comparing habitats and the wildlife within them, plant and animal adaptations, land-use changes - farming, quarrying, and tourism. Step back in time to 1862 and discover the aspirations of Durlston’s eccentric owner, George Burt. 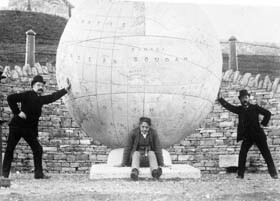 His legacy includes Durlston Castle and the Great Globe. 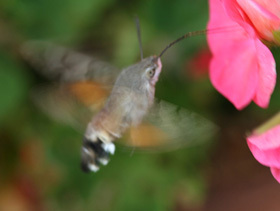 Topics include adaptations, diversity, interdependence, prey/predator relationship and competition. Examples from marine and terrestrial environment. 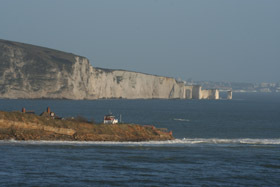 Examples of eroded bays, headlands, landslips & coastal defences. Relationship between geology and landscape, and the effects of geology on habitat creation. Erosion, discordant and concordant coastlines. Why this coastline has been designated as a World Heritage Site. WHS status - what does it mean for tourism, the local economy and environment? Human impact on the environment - can conservation and tourism be reconciled? Sustainable development and responsibility – is there such a thing as eco-tourism? A resource CD is available at £10 to accompany this session, if required. 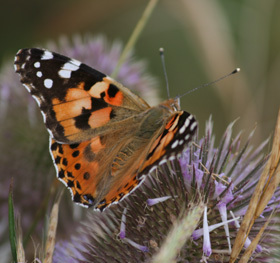 Topics include properties of rocks, differences and similarities between plants and animals, what is a fossil and how are they formed, adaptations to the environment and environmental change over time. Using British Orienteering Council resources participants will need to use their mental and physical skills to physically find control points, with use of an orienteering map, with the country park. Orienteering Course: as groups or individuals going out into the park and reaching control points. Initially one control at a time then several in succession enabling participants to plan their quickest route. For schools and youth groups we recommend a ratio of one adult supervisor (participating walking or running) per five pupils. This is as competitive as the participants want it to be! 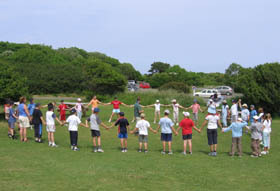 25 maximum group size. The new Durlston Astronomy Centre (at the Learning Centre) provides a unique opportunity for students to explore the wonders of the night sky, using state-of-the-art 14-inch reflecting telescopes to provide views of the near and far universe. Sessions last 1 hour. Teachers can also be trained to use the telescope independently or attend astronomy courses at Durlston. All sessions (except ‘Meet a Ranger’, 'Fossil Dig' and 'From Durlston to Deep Space') last approx 1½ hours and cost £2 per student. 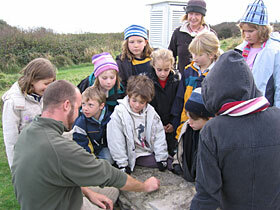 'Meet a Ranger' and 'Fossil Dig' are ½ hour sessions in and around the Centre and cost £1 per student. 'From Durlston to Deep Space' lasts 1 hour and costs £3 per student. There is also a minimum charge of £40 for an evening session. The sessions are designed to cover areas of the National Curriculum, however they are flexible and can be adapted to suit your learning needs. Please discuss with a Ranger before your visit. Please telephone first to ensure your chosen date is available, then complete the booking form and send it to the address below, or email it to us.